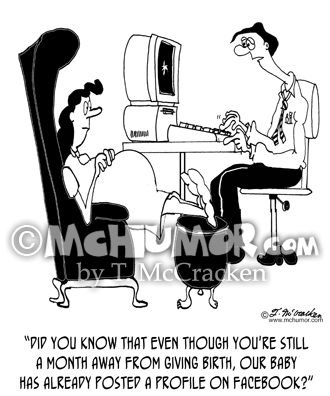 Pregnancy Cartoon 8132: A man on a computer says to his pregnant wife, "Did you know that even though you're still a month away from giving birth, our baby has already posted a profile on Facebook?" 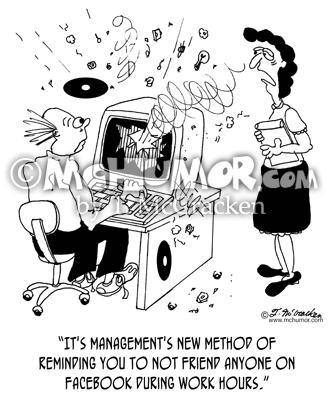 Facebook Cartoon 8572: A woman says to a man who’s computer has exploded, "It's management's new method of reminding you to not friend anyone on Facebook during work hours." 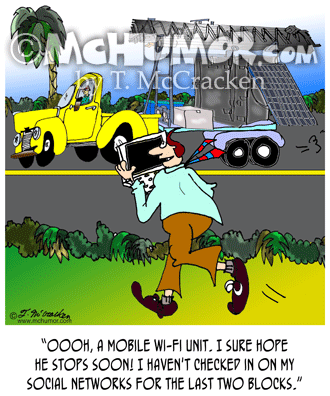 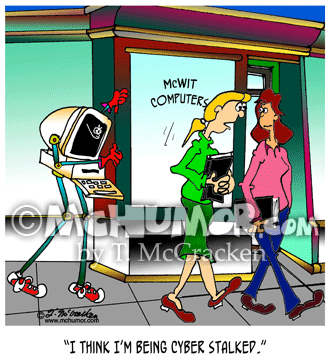 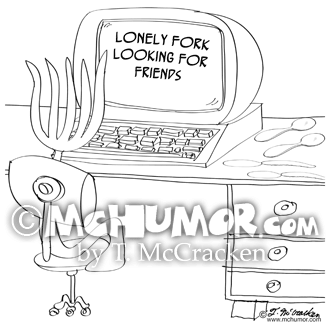 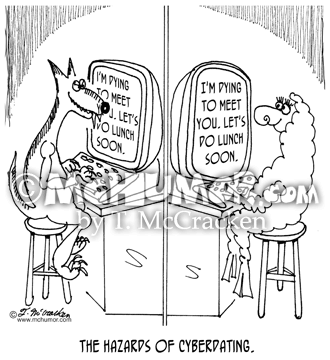 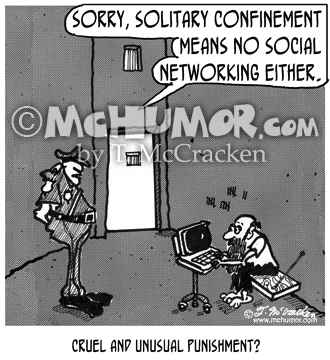 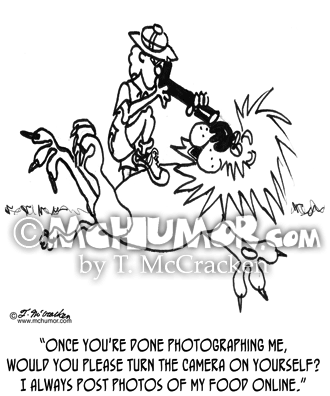 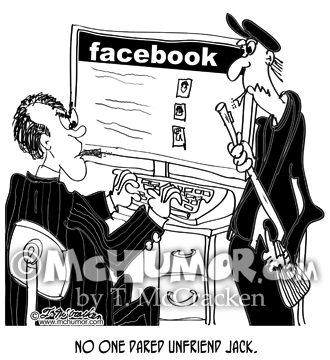 Crime Cartoon 8601: "No one dared to unfriend Jack. " 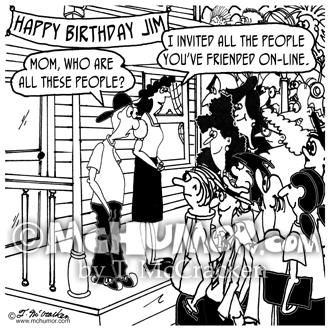 A mob hit man is on Facebook.